Are you in the process of searching for the perfect credit card? Do you have some concerns about the application process? Are you worried that you will receive a denial? There is no way of knowing for sure if you will be approved for a credit card, but you can improve your odds by understanding the eligibility requirements before applying. For example, if you have average or poor credit, don’t apply for a credit card that requires an excellent score. Are you serious about paying down your loan balances, or have these been lingering for quite some time? Credit card companies are more likely to deny your application if your loan balances are too high, as they have reason to believe you may not pay your balance when it comes due. Tip: improve your odds of an approval by reducing your loan balances before submitting an application. This doesn’t come into play with every credit card offer, but it could hold you back from receiving an approval. Depending on the credit card, there may be an income minimum in place. For example, the issuer may require an annual income of $100k to qualify. So, if your income is less than this, you are better off searching for a different offer. If you don’t have any credit cards in your name, it can increase the odds of an approval. Conversely, if you already have a handful of credit cards, it could lead to a denial. There is no “set” number that applies, but a credit card issuer may not feel comfortable approving your application if you’re already carrying several cards. At some point in your life, an account may have been sent to collections. Not only can this hurt your credit score, but it can also harm your ability to receive a credit card approval. In addition to the type of delinquency, the issuer will also consider when this occurred and the current state of your account. A collection record from two years ago, which has been resolved, is better than an open record. It may not be fair (at least in your mind), but a lack of credit history can harm your ability to obtain a credit card. This isn’t something you’ve done wrong, but instead a way for credit card companies to protect themselves. The best thing you can do is apply for an offer designed for first-time credit card applicants. It doesn’t matter if you have a perfect credit score or are lagging behind, it’s always good to have a clear understanding of how credit card application decisions are made. 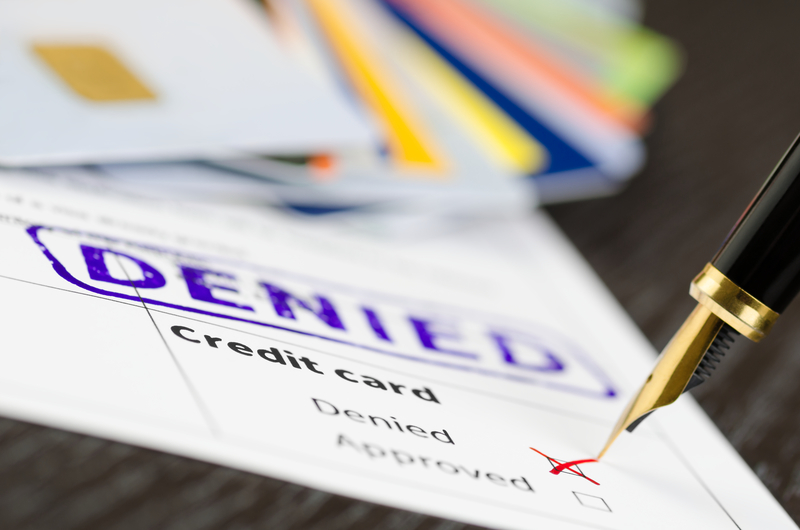 Have you been denied for a credit card in the past? What was the reason? How did you remedy the problem? Share your personal experience in the comment section below.